A Ludwig Cancer Research study shows that ovarian cancer, which has proved resistant to currently available immunotherapies, could be susceptible to personalized immunotherapy. Led by Ludwig Lausanne investigator Alexandre Harari and George Coukos, director of the Ludwig Institute for Cancer Research, Lausanne, the study shows that ovarian tumors harbor highly reactive killer T cells–which kill infected and cancerous cells–and demonstrates how they can be identified and selectively grown for use in personalized, cell-based immunotherapies. "Tumors whose cells tend to be highly mutated, like those of melanoma and lung cancer, are the ones that respond best to immunotherapies," says Harari. "It has long been a question whether we'd even be able to detect sufficiently mutation-reactive T cells in patients with tumors that have low mutational loads." Harari, Coukos and their colleagues report in Nature Communications that, despite their low mutational load, epithelial ovarian tumors are infiltrated with T cells that are especially good at recognizing and killing cancer cells. Cancer cells that have a relatively large number of mutations in their DNA express aberrant proteins–or neoantigens–that reveal the cancer to the immune system. Killer T cells recognize tiny, mutated bits of these antigens, known as neoepitopes. But neoepitopes vary wildly from patient to patient, even within the same type of cancer. This has long stymied efforts to develop generally effective therapies that target cancer antigens. To get around this problem, researchers have been developing sophisticated methods to extract T cells from patients, select and expand those that best target a patient's cancer and reinfuse them into the patient. These approaches usually rely on T cells extracted from the bloodstream, not those already inside the tumor, which are referred to as TILs (for tumor infiltrating lymphocytes). Experimental therapies using T cells taken from the bloodstream have not, however, worked very well against solid tumors. Further, when TILs have been used for such purposes, the proportion of what Harari calls the "juiciest" T cells–those recognizing mutations on cancer cells–tends to decline significantly when the cells are expanded in culture. "To circumvent these problems, we developed a new methodology to identify highly reactive TILs and expand them in a manner that, rather than diluting the juiciest TILs, enriches them instead," says Harari. "This allowed us to compare the activity of TILs that target neoepitopes with their counterparts in the peripheral bloodstream." The researchers show that killer T cells isolated from ovarian tumors using their method are much better at both recognizing neoepitopes than are those isolated from blood. "We could even compare T cells from the two compartments targeting the exact same mutation and show that the TILs were more functional than the T cells we collected from the peripheral bloodstream," says Harari. Notably, the researchers found that, using their methods, highly reactive TILs could be obtained from some 90% of the ovarian cancer patients whose tumor samples they examined. "The big message," says Coukos, "is that future cell-based therapies can be envisioned for low mutational load tumors and should prioritize the use of TILs over T cells collected from peripheral blood. This novel strategy to obtain enriched TILs also offers great therapeutic opportunities." 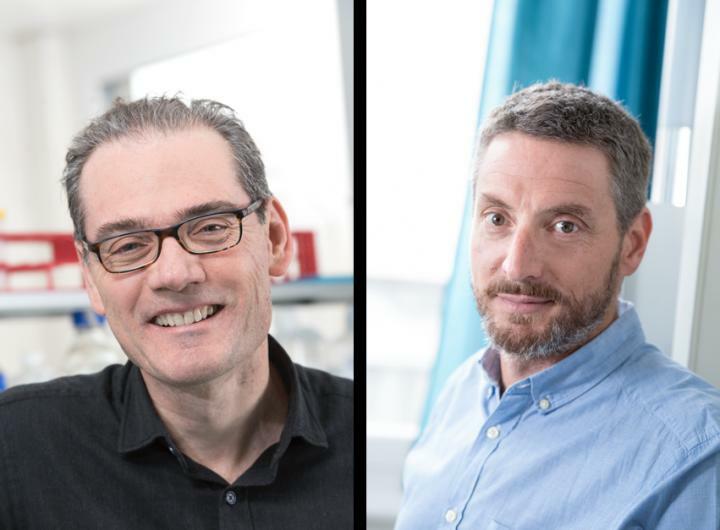 Harari, Coukos and their colleagues will now be applying their findings to an ambitious program to develop and streamline personalized immunotherapies for cancer patients currently underway at the Lausanne Branch of the Ludwig Institute for Cancer Research. This study was supported by Ludwig Cancer Research, the US National Institutes of Health, the Marcus Foundation, the Pennsylvania Department of Health, the Ovacure Foundation and The Swiss Federal Government. In addition to his Ludwig post, George Coukos directs the Department of Oncology at the University Hospital of Lausanne (CHUV-UNIL) as well as the Swiss Cancer Center, Lausanne. Alexandre Harari is also Director of the Immune Monitoring Core at the Center of Experimental Therapeutics at CHUV-UNIL. Ludwig Cancer Research is an international collaborative network of acclaimed scientists that has pioneered cancer research and landmark discovery for more than 40 years. Ludwig combines basic science with the ability to translate its discoveries and conduct clinical trials to accelerate the development of new cancer diagnostics and therapies. Since 1971, Ludwig has invested $2.7 billion in life-changing science through the not-for-profit Ludwig Institute for Cancer Research and the six U.S.-based Ludwig Centers. To learn more, visit http://www.ludwigcancerresearch.org. For further information please contact Rachel Reinhardt, [email protected] or +1-212-450-1582.